Leading Justice is offering limited da Vinci hysterectomy advertising and virtual secretarial services for mass tort law firms pursuing an increased case docket of robotic surgery claims. With more than 15 years of experience helping people wronged by Big Pharma, and the staying power of an honest, 100% fraudulent-free business history, Leading Justice has the transparency in advertising to be your partner in building a large da Vinci docket. Leading Justice will create and place da Vinci surgery media for your buy, screen all of the da Vinci-related contacts according to your case criteria, single sign the client's claim to your retainer/medical release using the most rigorous security industry certification standards, and finally, send the signed da Vinci claim to your intake team for the final screen and medical record retrieval. If your firm is interested in pursuing da Vinci robotic surgery claims, Leading Justice can build your docket via our effective advertising and virtual secretarial services. Law firms working with Leading Justice know they are working with an honest, transparent advertising shop that will build their da Vinci surgical robot docket with best marketing practices and bar opinions in mind. Contact us today to get started. Categories: Da Vinci Surgical Robot, Medical Devices. Tags: burns, Da Vinci Surgical Robot, excessive internal bleeding, hysterectomy, tears. Leading Justice is a full-service marketing company working with law firms on a cash buy basis to sign up fully-qualified, fraud-free da Vinci surgical robot cases. Here at Leading Justice, we can customize your firm’s da Vinci robot advertising needs and help you sign up cases via internal cash buys. Our clients simply pay an agency fee to cover the cost of da Vinci advertising, plus a fee for each case we sign, and any data we generate for your firm belongs to you. We also cross-qualify all of our contacts, which means any data we generate that isn’t eligible for the target campaign is reevaluated to determine whether it qualifies for another type of claim. By using innovative approaches to target contacts specifically related to the da Vinci surgical robot and side effects like burns, tears, internal bleeding and death, Leading Justice will increase your firm’s da Vinci surgery case load. If you are interested in helping victims of alleged da Vinci surgery complications, our extensive consumer reach and direct advertising strategies at Leading Justice give you the competitive edge and confidence you need to allocate your full budget, and rest easy knowing your money is being spent the best way possible. Each law firm we work with at Leading Justice plays an important role in how we classify contacts as qualified or not. While our experience working alongside plaintiff law firms allows us to recognize a great case when we see one, we will also customize our robotic surgery case intake specifications to the exact criteria you are seeking. So, if your firm has specific da Vinci surgery case criteria you would like us to use, we will train our intake specialists to apply the criteria to every phone call and email they receive. By getting rid of the middle man, Leading Justice offers clients an opportunity for internal cash buys of da Vinci robotic surgery data with zero chance of fraud. The da Vinci surgical robot was developed by a company called Intuitive Surgical, and is a robotic device operated by a surgeon via remote control. Since its introduction, the da Vinci device has been hailed by its manufacturer as a superior alternative to traditional procedures for hysterectomy and prostate surgeries. Despite these claims, mounting research has found that using the da Vinci surgical robot during a hysterectomy is no safer than traditional laparoscopic surgery, yet robotic surgery is more costly and may actually put patients at an increased risk of serious injury. The complications allegedly linked to the da Vinci surgical robot include burns, tears, excessive internal bleeding and possibly even death. In fact, a recent report identified 89 cases of patient deaths and thousands of injuries taking place during robotic surgery. 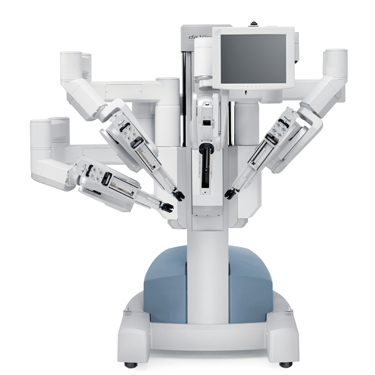 One of the main concerns about the da Vinci surgical robot is that hospitals and medical centers may feel pressured to purchase the medical device to avoid being at a disadvantage in the medical field. In turn, surgeons may feel pressured to use the complex devices before they are adequately trained, putting patients at unnecessary risk of serious injury or death. According to experts, complications reported in connection with the da Vinci Surgical System are likely just the tip of the iceberg, with many more product liability lawsuits expected to be filed against Intuitive Surgical as awareness about the surgical risks continues to grow. The da Vinci robot was used in more than 350,000 operations in 2012, and reports of complications doubled in the first eight months of 2013. While attorneys are investigating the liability associated with these complications, Leading Justice is connecting the victims of these surgical complications with the attorneys seeking to represent the injured through highly targeted Da Vinci Robotic surgery lead generation campaigns. Leading Justice is offering limited Stryker LFIT Femoral Head advertising and virtual secretarial services for mass tort law firms pursuing an increased case docket of Stryker revision surgery claims. With over 15 years of experience helping people wronged by Big Pharma, and the staying power of an honest, 100% fraudulent-free business history, Leading Justice has the transparency in advertising to be your partner in building a large Stryker LFIT hip implant docket. Leading Justice will create and place Stryker LFIT media for your buy, screen all Stryker-related contacts according to your qualifying case criteria, single sign the client’s claim to your retainer/medical release using the most rigorous security industry certification standards, and send the signed Stryker LFIT claim to your intake team for the final screen and medical record retrieval. If your firm is interested in pursuing Stryker LFIT Femoral Head injury claims, Leading Justice can build your docket via our effective advertising and virtual secretarial services. Law firms partnered with Leading Justice know they are working with an honest, transparent advertising shop that will build their Stryker hip implant docket with best marketing practices and bar opinions in mind. 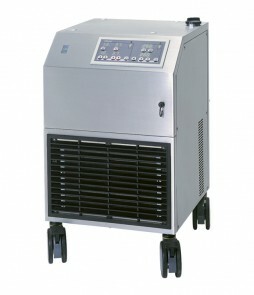 Leading Justice is offering limited Stockert 3T heater-cooler system advertising and virtual secretarial services for mass tort law firms pursuing an increased case docket of Stockert 3T infection claims. With more than 15 years of experience helping people wronged by Big Pharma, and the staying power of an honest, 100% fraudulent-free business history, Leading Justice has the transparency in advertising to be your partner in building a large Stockert 3T infection docket. Leading Justice will create and place Stockert 3T media for your buy, screen all Stockert-related contacts according to your qualifying case criteria, single sign the client’s claim to your retainer/medical release using the most rigorous security industry certification standards, and send the signed claim to your intake team for the final screen and medical record retrieval. If your firm is interested in pursuing Stockert 3T nontuberculous mycobacteria (NTM) infection or M. chimaera claims, Leading Justice can build your docket via our effective advertising and virtual secretarial services. Law firms partnered with Leading Justice know they are working with an honest, transparent advertising shop that will build their Stockert 3T heater-cooler system docket with best marketing practices and bar opinions in mind. Leading Justice is offering limited metal-on-metal hip implant advertising and virtual secretarial services for mass tort law firms pursuing an increased case docket of defective hip implant claims. With over 15 years of experience helping people wronged by Big Pharma, and the staying power of an honest, 100% fraudulent-free business history, Leading Justice has the transparency in advertising to be your partner in building a large metal-on-metal hip implant docket. 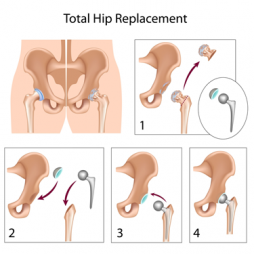 Leading Justice will create and place hip implant media for your buy, screen all of the hip implant-related contacts according to your qualifying case criteria, and single sign the client's claim to your retainer/medical release using the most rigorous security industry certification standards. 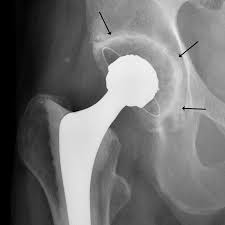 Finally, we will send the signed hip implant claim to your intake team for the final screen and medical record retrieval. If your firm is interested in pursuing claims associated with metal-on-metal hip replacement systems, Leading Justice can build your docket via our effective advertising and virtual secretarial services. Law firms working with Leading Justice know they are working with an honest, transparent advertising shop that will build their defective hip implant docket with best marketing practices and bar opinions in mind. Leading Justice is offering limited Mirena IUD advertising and virtual secretarial services for mass tort law firms pursuing an increased case docket of Mirena injury claims. 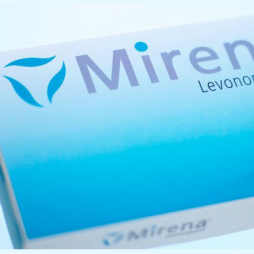 With more than 15 years of experience helping people wronged by Big Pharma, and the staying power of an honest, 100% fraudulent-free business history, Leading Justice has the transparency in advertising to be your partner in building a large Mirena IUD docket. Leading Justice will create and place Mirena media for your buy, screen all Mirena-related contacts according to your Mirena case criteria, single sign the client's claim to your retainer/medical release using the most rigorous security industry certification standards, and send the signed Mirena claim to your intake team for the final screen and medical record retrieval. If your firm is interested in pursuing Mirena IUD migration or uterine perforation claims, Leading Justice can build your docket via our effective advertising and virtual secretarial services. Law firms partnered with Leading Justice know they are working with an honest, transparent advertising shop that will build their Mirena IUD docket with best marketing practices and bar opinions in mind. Leading Justice is offering limited Medtronic Infuse bone graft advertising and virtual secretarial services for mass tort law firms pursuing an increased case docket of Medtronic Infuse claims. With over 15 years of experience helping people wronged by Big Pharma, and the staying power of an honest, 100% fraudulent-free business history, Leading Justice has the transparency in advertising to be your partner in building a large Medtronic Infuse docket. 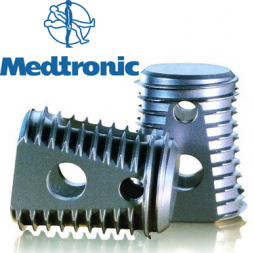 Leading Justice will create and place Medtronic media for your buy, screen all bone graft-related contacts according to your qualifying case criteria, and single sign the client's claim to your retainer/medical release using the most rigorous security industry certification standards. Finally, we will send the signed Medtronic Infuse claim to your intake team for the final screen and medical record retrieval. If your firm is interested in pursuing Medtronic Infuse bone graft claims, Leading Justice can build your docket via our effective advertising and virtual secretarial services. Law firms partnered with Leading Justice know they are working with an honest, transparent advertising shop that will build their Medtronic Infuse docket with best marketing practices and bar opinions in mind. Contact us today to get started. Leading Justice is offering limited transvaginal mesh advertising and virtual secretarial services for mass tort law firms pursuing an increased case docket of vaginal mesh injury claims. With over 15 years of experience helping people wronged by Big Pharma, and the staying power of an honest, 100% fraudulent-free business history, Leading Justice has the transparency in advertising to be your partner in building a large transvaginal mesh docket. 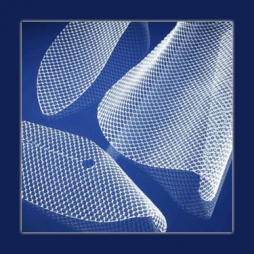 Leading Justice will create and place vaginal mesh media for your buy, screen all of the mesh-related contacts according to your qualifying case criteria, single sign the client's claim to your retainer/medical release using the most rigorous security industry certification standards, and send the signed vaginal mesh claim to your intake team for the final screen and medical record retrieval. If your firm is interested in pursuing transvaginal mesh injury claims, Leading Justice can build your docket via our effective advertising and virtual secretarial services. Law firms partnered with Leading Justice know they are working with an honest, transparent advertising shop that will build their vaginal mesh docket with best marketing practices and bar opinions in mind. Call us today to get started.